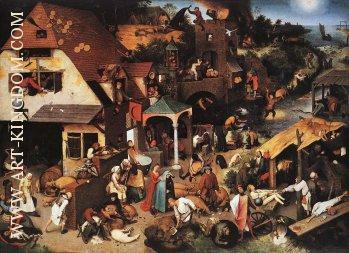 Pieter Bruegel (Brueghel) the Elder (Dutch pronunciation: [ˈpitəɾ ˈbɾøːɣəl]; c. 1525 – 9 September 1569) was a Flemish Renaissance painter and printmaker known for his landscapes and peasant scenes (so called genre painting). 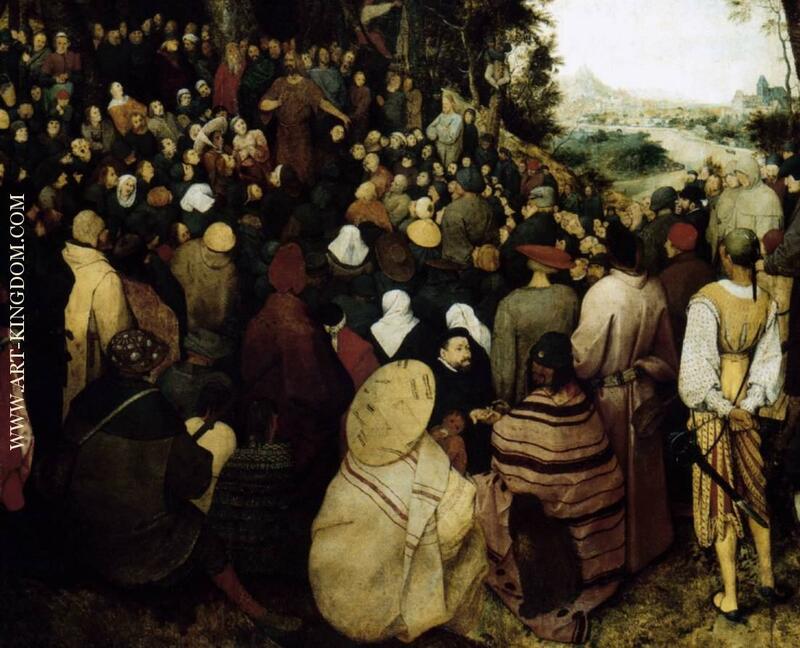 He is sometimes referred to as the "Peasant Bruegel" to distinguish him from other members of the Brueghel dynasty, but he is also the one generally meant when the context does not make clear which Brueghel is being referred to. 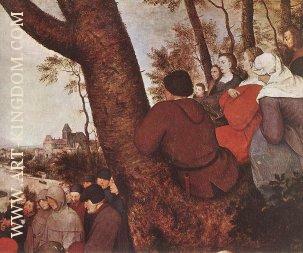 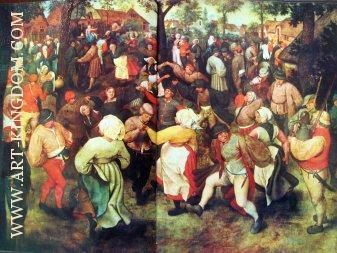 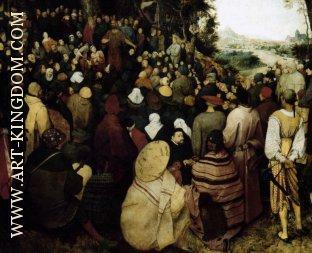 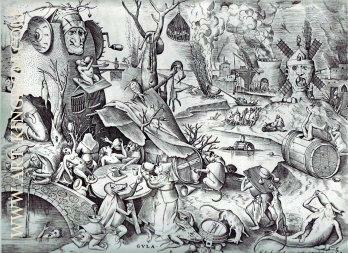 From 1559 he dropped the 'h' from his name and signed his paintings as Bruegel. 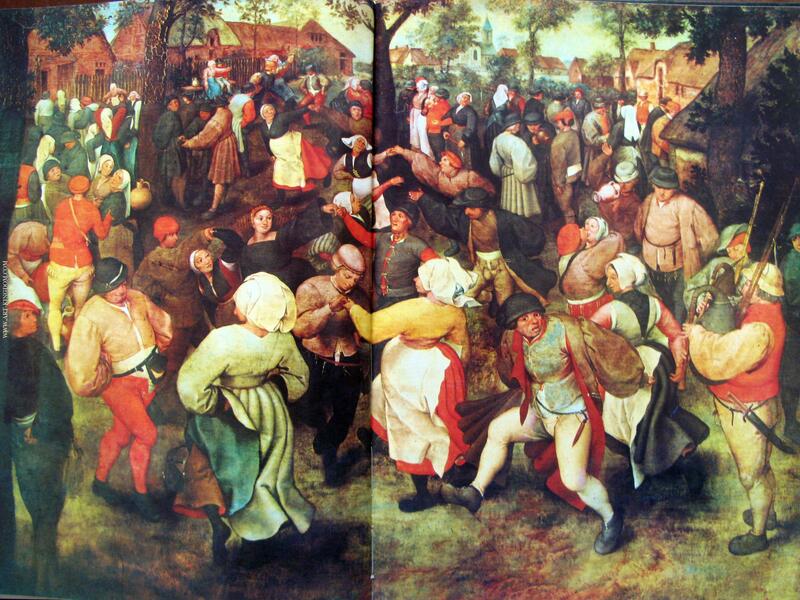 He received the nickname 'Peasant Bruegel' or 'Bruegel the Peasant' for his alleged practice of dressing up like a peasant in order to mingle at weddings and other celebrations, thereby gaining inspiration and authentic details for his genre paintings. 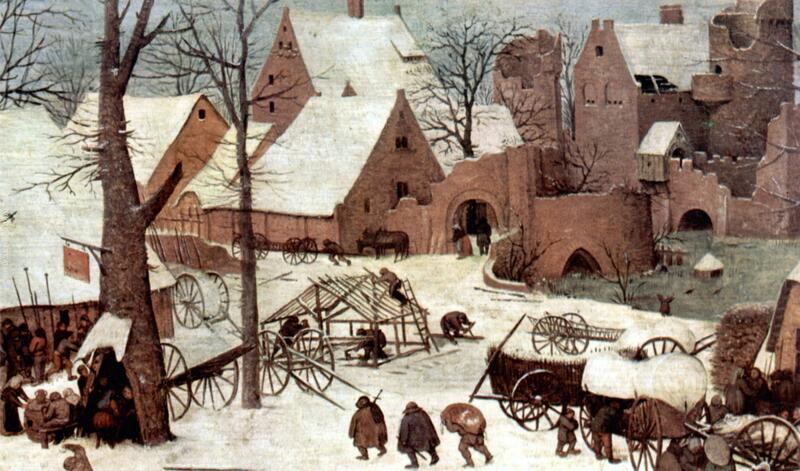 He died in Brussels on 9 September 1569 and was buried in the Kapellekerk. 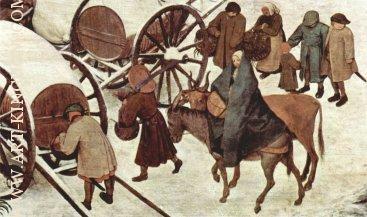 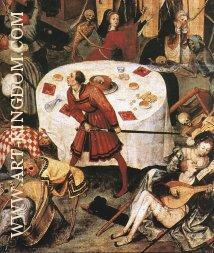 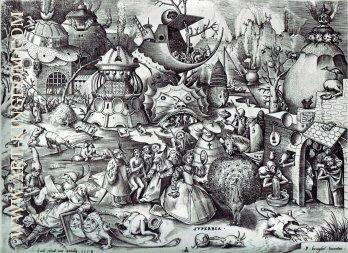 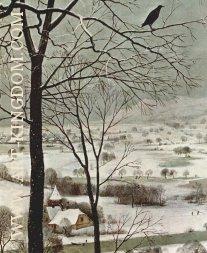 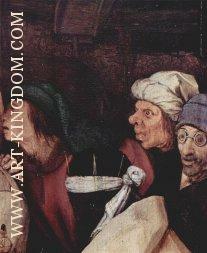 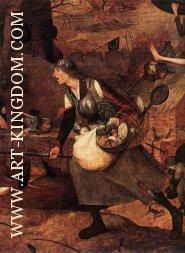 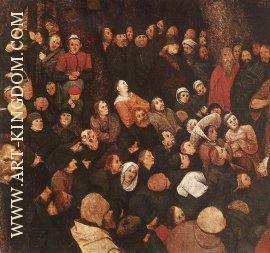 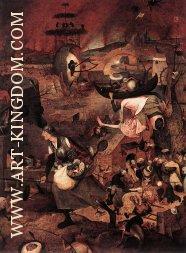 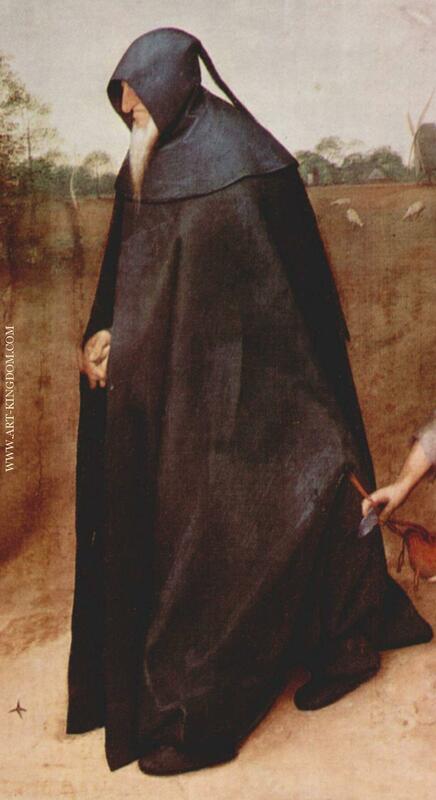 He was the father of Pieter Brueghel the Younger and Jan Brueghel the Elder. 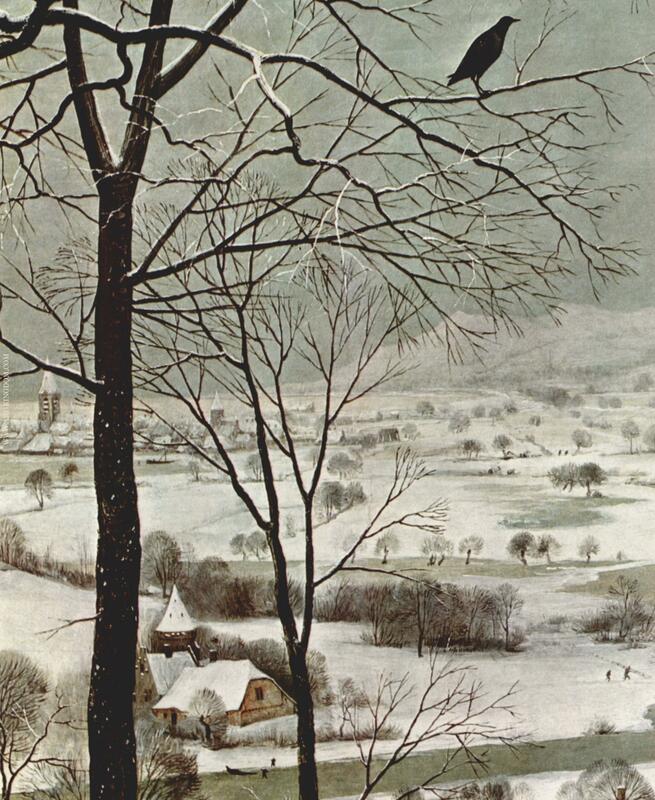 Both became painters, but as they were very young children when their father died, it is believed neither received any training from him. According to Carel van Mander, it is likely that they were instructed by their grandmother Mayken Verhulst van Aelst, who was also an artist. 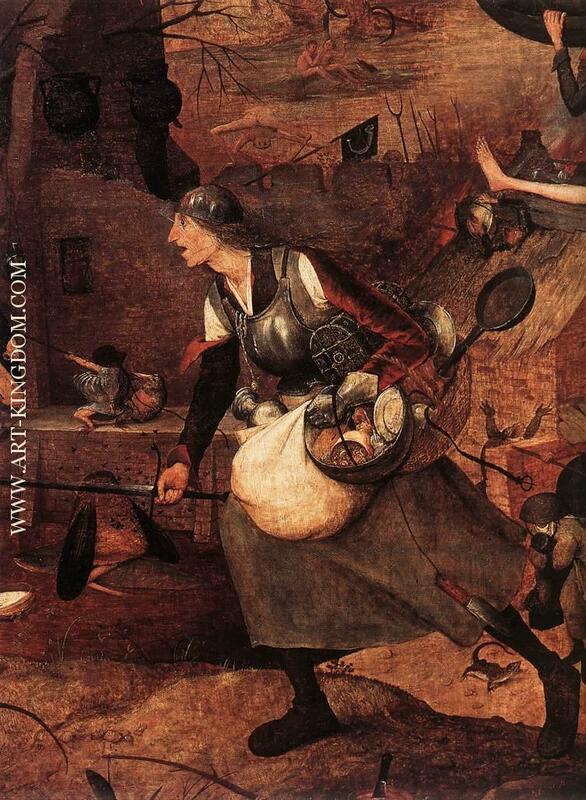 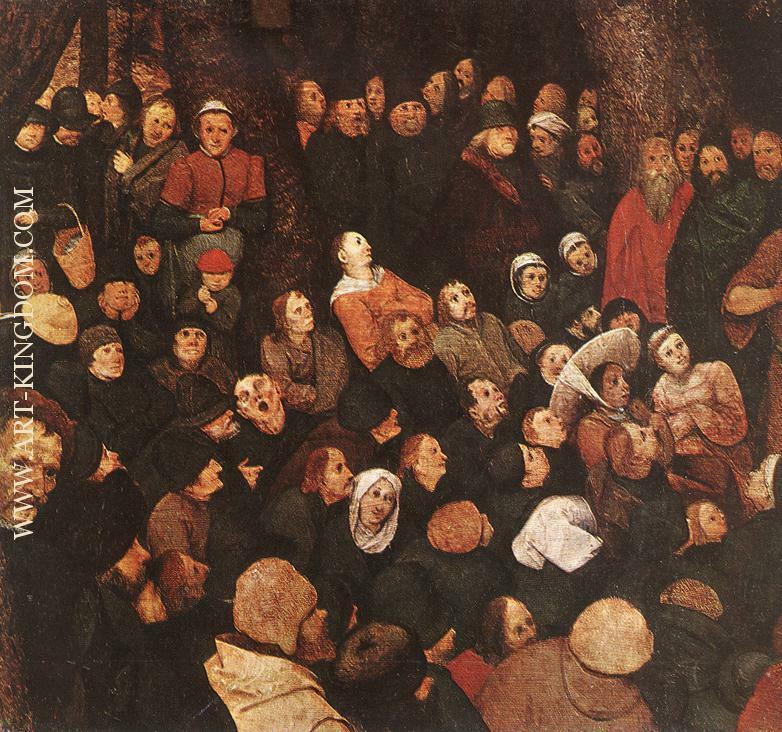 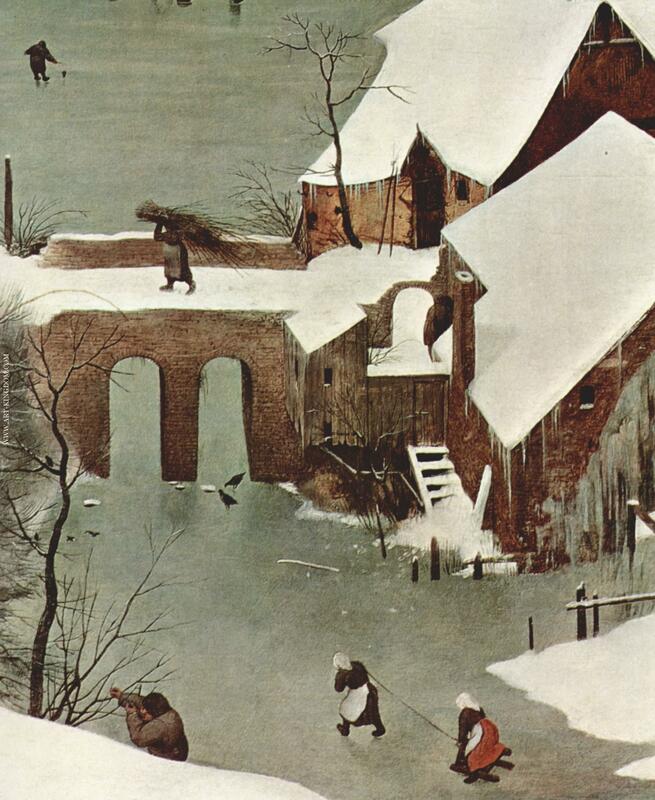 In Bruegel's later years he painted in a simpler style than the Italianate art that prevailed in his time. 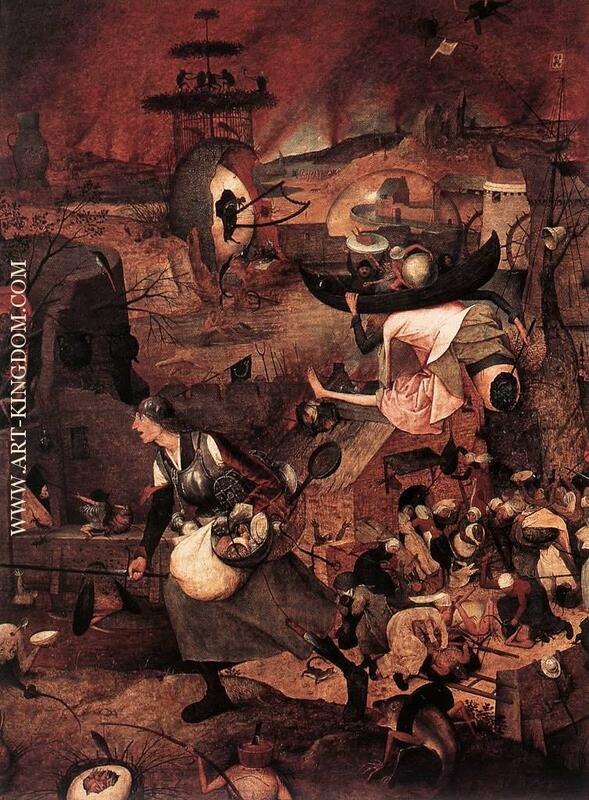 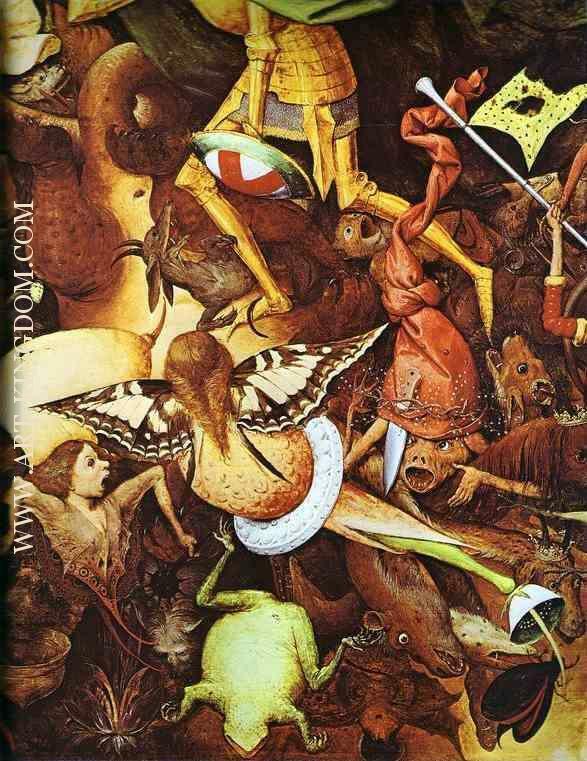 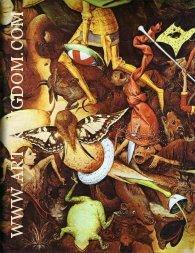 The most obvious influence on his art is the older Dutch master Hieronymus Bosch, particularly in Bruegel's early "demonological" paintings such as The Triumph of Death and Dulle Griet (Mad Meg). 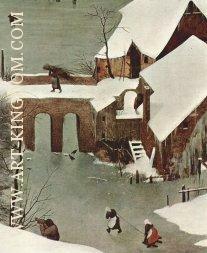 It was in nature, however, that he found his greatest inspiration as he is identified as being a master of landscapes. It was in these landscapes that Bruegel created a story, seeming to combine several scenes in one painting. 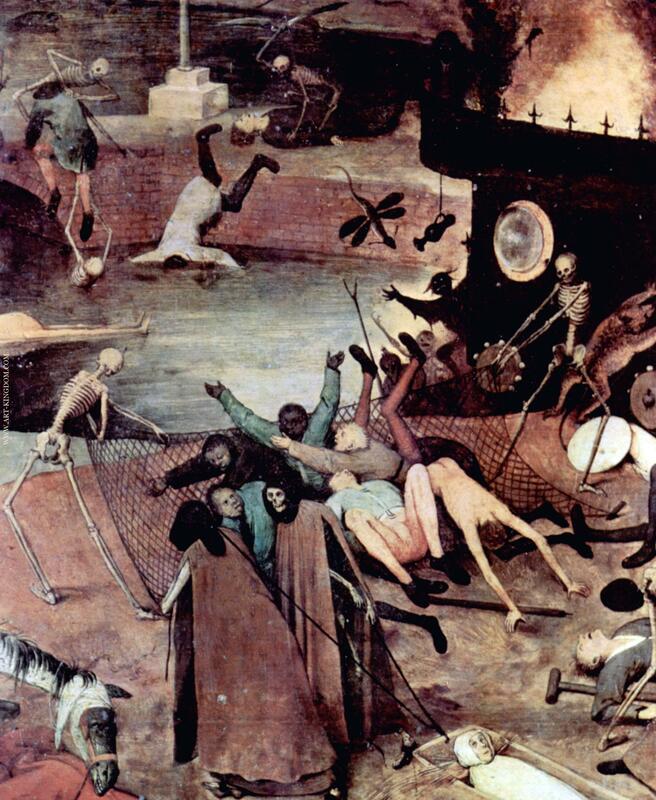 Such works can be seen in The Fall of the Rebel Angels and the previously mentioned The Triumph of Death.